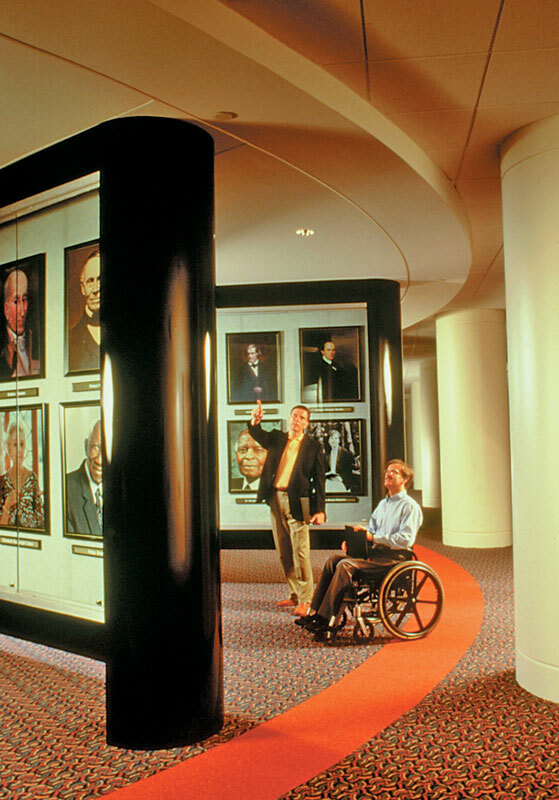 The South Carolina Hall of Fame, dedicated on February 11, 1973, by Governor John C. West, was created to recognize and honor those contemporary and past citizens who have made outstanding contributions to South Carolina's heritage and progress. It is a nonprofit corporation conducted under a state charter. The South Carolina Hall of Fame is located in the Myrtle Beach Convention Center, Myrtle Beach, South Carolina. On September 21, 2001, Governor Jim Hodges signed into law a bill designating the South Carolina Hall of Fame as the state's official hall of fame. 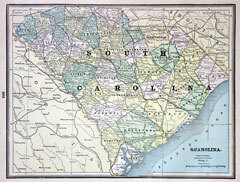 South Carolina stretches from the Atlantic Ocean to the Blue Ridge Mountains, containing 31,113 square miles. Fortieth in geographic area among the fifty states, it ranks twenty-sixth in population. The Palmetto State's more than four million citizens value its rich history, a legacy that is a prime factor in making tourism one of the state's largest industries. 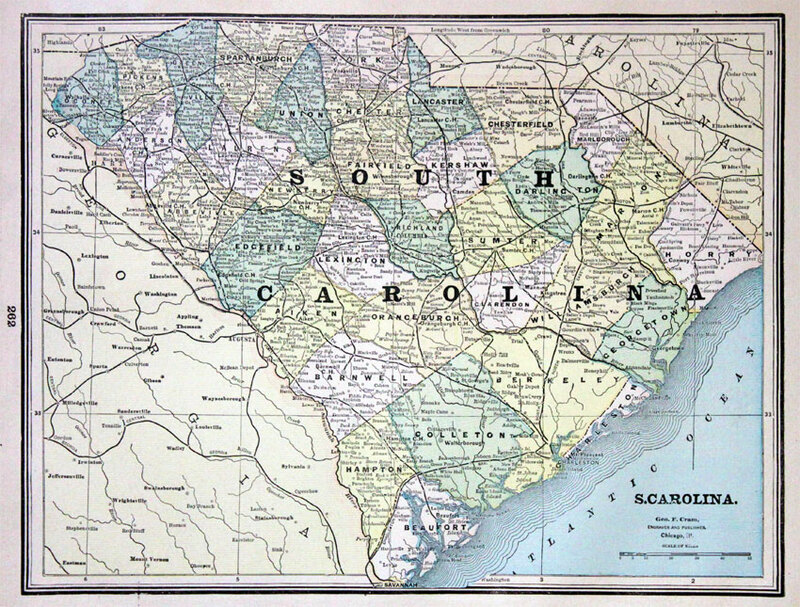 Spaniards explored the South Carolina coast as early as 1514, and Hernando DeSoto met the Queen of Cofitachiqui in 1540 when he crossed the central part of the state. Spanish fears of French rivalry were heightened when Huguenots led by Jean Ribaut attempted to settle on what is now Parris Island near Beaufort in 1562. After Ribaut returned to France for reinforcements, the soldiers who were left behind revolted, built themselves a ship, and sailed for France the next year. The horrors of that voyage went beyond eating shoes to cannibalism before an English ship rescued the pitiful remainder of the French attempt to colonize here. Continue your discovery of South Carolina History at the SC Department of Archives and History.